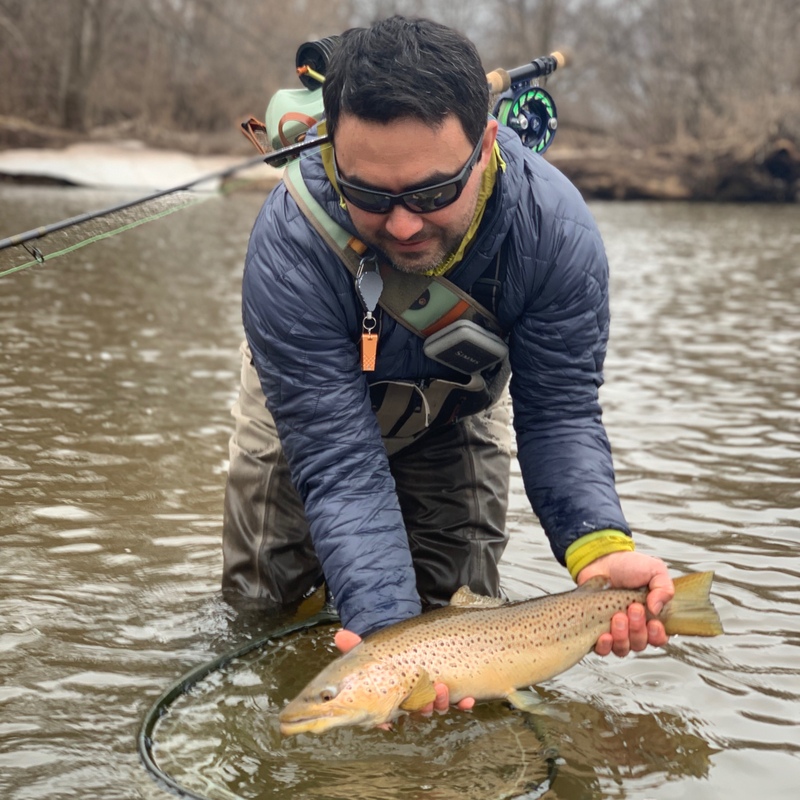 General fishing report for March 29, 2019. Since we’ve last spoke we’ve lost some snow, gained a bunch in the mountains and started losing some again. The extended forecast looks to keep the melt going, but it doesn’t seem that we’ll have any huge runoff issues, not yet at least. For me personally, I have not been out recently, but perhaps this weekend. The Otter is a bit high and looks like it’s rising, but if you can find some slower water (but still moving) near some deeper winter holding areas that would be a good place to start. Deeper winter water does not have to be a huge hole, but it could be as simple as a two foot deep seam near some faster water. Just remember, trout are not wanting to waste too much energy holding in an area waiting for food. With some rising water on the Creek and other Champlain tribs, it’s a good time to use some of your junk nymphs, like worms, mops and stones. Especially this time of year, we find these flies more effective with rising and/or stained water than when the water is clearer. Another good choice are streamers, whether stripped or swung, or used as a nymph. Sometimes the lure of a bigger meal can get a trout to commit. For those of you anglers getting ready for this years Classic, one reminder that we only have a few spots left!! Details can be found on the website, www.mmvt.com. One option to get ready for the Classic is to walk some of you favorite stream stretches in the coming weeks. This can give you a heads up on any changes that have taken place. I find it better to walk sections at a low, clear level, as I can plainly see the structure giving me a good place to start should the water be stained on opening weekend. Also, if you look closely in some of these areas, you might be able to spot some trout. I can’t claim to be an expert at fish spotting, but polarized glasses really help, as does an elevated viewing position. If you haven’t done so already, now is the time to give your gear a once over. We’ve got you covered at the shop if you need to fill in any gaps. For those of you looking for some fishing to the west, it’s a good time to head to western New York for Great Lakes Steelhead. Steve and a crew were out a week ago and had some success. A busy but good place to start is the Salmon River, just a 4-5 hour trip from the Middlebury area. Lots of fish, but sometimes, especially the weekends, lots of anglers. Our local steelhead fishing still seems slow, but will improve with pushes or water and warm water temps. Both sides of our Great Lake have plentiful streams that contain some migratory fish. Also of note, is that the New York opening day is April 1! In my opinion, given the proximity to some wonderful fisheries over there, the cost of the non resident license is a wash.
Any other questions or comments feel free to drop me a line dave@mmvt.com. Be safe and good luck if you get out, just a few short weeks until opening day!! !